He is a clinical assistant professor at the University of British Columbia Faculty of Medicine, Department of Family Practice. In that capacity he mentors medical students and family practice residents. Dr. Spangehl is interested in using lifestyle modification to improve health and has taken numerous courses and seminars in integrative medicine. He is married to his life partner, Vivian, and together they are raising three amazing children: Tori, Madeline and Peter. 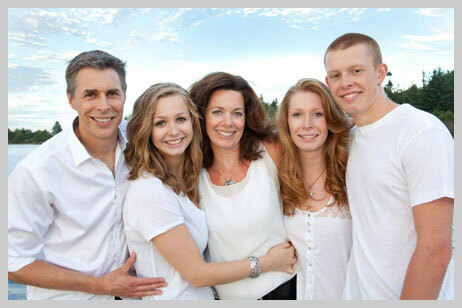 Dr. Spangehl and his family.